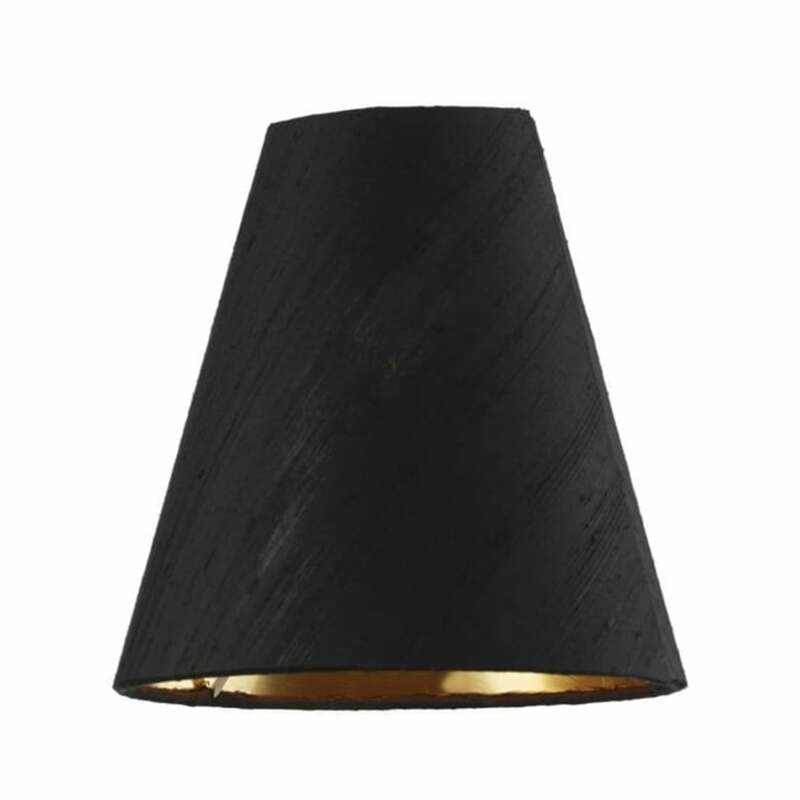 David Hunt Lighting Doreen shade features a tapered frame with 100% silk in a stunning black colour with gold laminate lining and is perfect for placement within either classic or contemporary settings. The product code for this David Hunt lamp shade is DOR0722/GD. Is suitable for use with an E14 lamp holder. Please note that this shade is made to order and can take 2 - 3 weeks. Silk shades are also available to order in 12 silk colours, with a choice of a white laminate or gold, silver and bronze metallic linings. To order shades in these colours please contact our sales team.